This is specifically designed for people who are just getting started with Coaching and are looking to complete the Introduction to Coaching programme. Being an Award Scheme Coach gives an excellent foundation for coaching that can be built on if you wish to progress. Our foundational programmes have been borne out of years of research, experience, practice, hard work and passion; ensuring that you get the information, knowledge and support to get started. This membership is designed for Assistant Coaches, so those that have progressed from the Introduction to Coaching and have successfully completed the UKCC Level 1 qualification. This level of membership enables you to really start to find your feet, whilst being supervised and supported by a practising Coach. This level of membership is for Coaches that have successfully completed the UKCC Level 2 or above qualifications, and are fully qualified as a Coach. Please note that you can upgrade your membership from Gymnast to Assistant Coach or Assistant Coach to Coach at any point in the year, and each level of membership gives you specific discounts on our coach training courses, making sure your on-going development is achievable and cost-effective. We are here to help, support and advise you at every stage of your membership, whether you are just getting started or are already involved in this exciting sport. 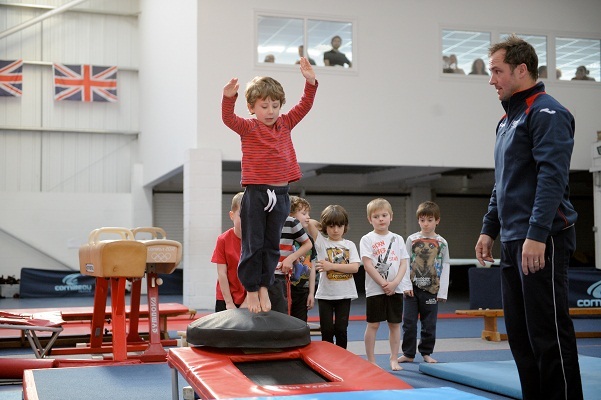 Membership is vital in ensuring that British Gymnastics can continue to help and support you as a valued member and also positively contribute to the growth of the sport. Interest in the sport has never been stronger and we are fully committed to helping everyone achieve their full potential. We are a membership organisation – you are the lifeblood of the sport and we recognise that the gymnastics community continues to develop, grow and be successful through the contribution that you make. If you are excited about the possibilities of gymnastics, we can offer you the opportunity to be part of a large and growing community that shares your excitement.